We had heard a couple of weeks ago that Thomas Austin Preston, Jr. -- a.k.a. “Amarillo Slim” -- was nearing the end, his friend and fellow poker icon Doyle Brunson having tweeted that he was “in critical shape,” then last week again reporting he was “at death’s door.” Preston passed at age 83 during early Sunday morning. Preston’s significance to the modern history of poker is impossible to ignore. In my “Poker in American Film and Culture” class we cover the entire history of poker, going back to the early 19th century. By the time we get to the latter part of the story Preston comes up again and again. We read and talk about the World Series of Poker and Preston’s win at the third ever WSOP Main Event in 1972. We even discuss the possible deal-making that occurred at that final table that resulted in Preston’s victory, since that story helps show poker’s still uncertain place in American culture. And we talk about Preston’s subsequent publicity tour, including his many appearances on The Tonight Show with Johnny Carson where he was, for all intents and purposes, the face of poker in America and the game’s chief spokesperson. I wrote a “Poker & Pop Culture” piece for PokerNews a few years back detailing that part of Preston’s story -- check it out for a fuller treatment of how Preston uniquely combined the Old West cowboy image with modern ideas about poker and gambling while advancing the message of poker to mainstream America. I save the films in my class until the last few weeks. I feel like the students get a lot more out of them after having studied poker’s fascinating history, as well as after having thought a lot about poker’s place in American culture. They are, I believe, uniquely positioned to interpret and critique the movies after having gone through such study previously. As I mentioned in a post last week, we just watched the 1974 film California Split, in which Preston has a memorable cameo near the end, essentially playing himself. 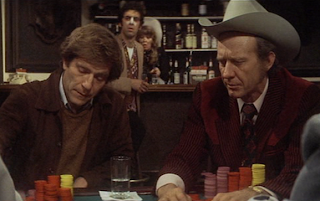 His appearance immediately communicates a huge change from the games back at the California Club we see at the beginning of the film, announcing at once that this is high-stakes, serious poker. This morning I’m rewatching Rounders (1998) for today’s class, and of course there are numerous references to Preston in that film, too, the script for which is packed with lots of knowledgeable allusions to poker’s past. In fact, the movie’s famous opener -- “If you can’t spot the sucker in your first half-hour at the table, then you are the sucker” -- is often attributed to Preston. For at least three decades, Preston was most certainly a symbol of poker greatness, the mention of his name in a film like Rounders instantly conveying a young player’s aspirations. I never met Preston, although I did cover him in a few events at the WSOP, and searching back through I am seeing some posts of a few hands here and there. He didn’t play in that many during the years I’ve covered events (since 2008), usually showing up for the Seniors event, the Main, and perhaps a few others. Of course, Preston’s place in the poker world changed dramatically just as the poker world itself began to change following Chris Moneymaker’s dramatic win at the 2003 WSOP Main Event and the subsequent “boom” in poker’s popularity. In the summer of 2003 Preston was indicted on charges of indecency with a 12-year-old child (his granddaughter), charges later reduced to a misdemeanor to which Preston pleaded no contest. There’s a lot of uncertainty surrounding the case, addressed by Preston in a two-part interview with Nolan Dalla in 2009 for PokerListings titled “A Legend Lost” (part 1 & part 2). Last week in my class we talked about Preston’s place in poker history when discussing his scene in California Split. We necessarily talked about the indecency charge, too, which I summarized as a factor that had already affected his place in the poker world presently, and would certainly complicate how people would remember him once he had died. 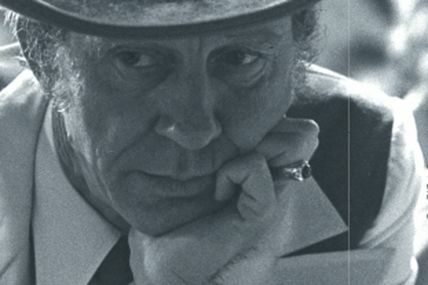 In any event, for anyone with an interest in poker’s history, Preston’s passing is certainly worth noting. As I’m sure we’ll be doing in class this afternoon.